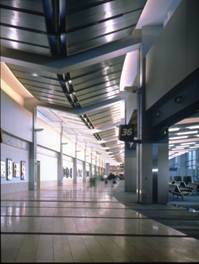 This new terminal, entitled Concourse F, provided eight gates and 320,000 sf of new space linked to the existing West Terminal building. The dramatic exterior facade is defined by a gently sloping glass front and articulated by soaring concrete columns. 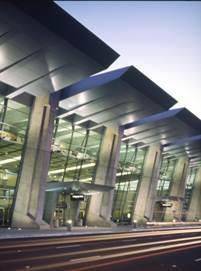 This, in conjunction with metal-clad roof elements, inspired by the aircraft wing, reflects the aviation history of Lindbergh Field and provides a contemporary, clean architectural image. The project was driven by two “must meet” milestones: the Republican National Convention in San Diego in August 1996, and the Superbowl in January 1998. 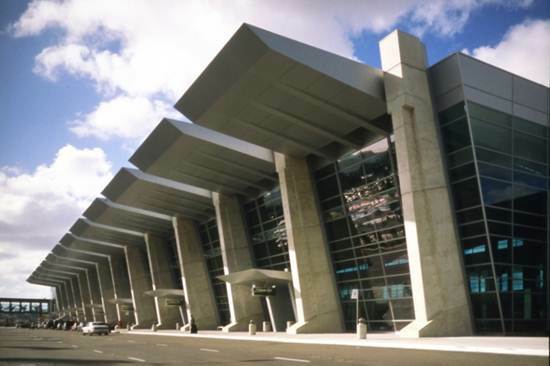 The construction had to be phased in such a way that landside and airside facilities would be fully operational during the convention, and the facility would be 100% complete before the Superbowl. The team met both milestones. 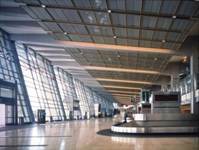 The project received numerous awards from the AIA and public agencies. Gerhard Pichel, president of GPA, was the project principal on this project while employed with another firm.